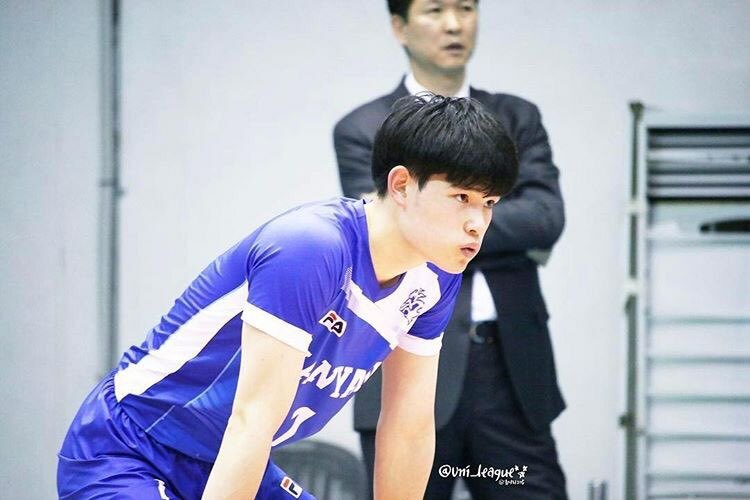 Hong Sang-hyeok received the Very Best Athlete Award at the 2018 National University Volleyball Cheongyang Competition. Not only did he lead Hanyang University to victory at the competition, but he was also selected to be on the national team. He is a remarkable athlete that holds high hopes of those around him. Q. How do you feel about receiving the Very Best Athlete Award as well as being chosen to play on the national team? A. First, I believe winning at the Cheongyang Competition and receiving the award was due to my team believing in me and everyone else doing a great job in their own positions. I am so happy to play on the national team and will work hard. I also plan to learn a lot from the other players in order to develop. Q. You must have worked very hard for these accomplishments. What difficulties did you experience and how did you overcome them? A. My position is left side hitter, so my defense and receiving skills lack in comparison. That’s why I did a lot of personal workouts and when things did not go well, I asked those around me for help. Through these efforts and practice, I could overcome my weaknesses. Q. When did you start volleyball and why did you decide to become an athlete? A. I first started volleyball in second grade and began to professionally learn it in fourth grade. I initially started sports because of my likeness for the activity, but after I got scouted I decided to be a volleyball player. Q. Is there a quote you always keep in your mind and try to follow? A. I don’t really have a quote, but I always try to work harder than others. Also during competitions, I try to keep a mindset of enjoying the game. Q. What are your goals as an athlete as well as your personal goals? A. I want to work harder and become a player on the professional team. I want to be the most wanted player for the left side hitter position. Q. Do you have any last words for the readers of The Hanyang Journal? A. Come and support the university volleyball league home games. I will work hard and try to show you a great game.